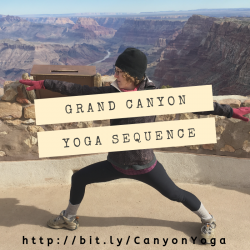 My recent trip to the Grand Canyon inspired a quick on-the-go sequence. Mountain Pose, Half Dog, Warrior II, Revolved Side Angle Pose. Namaste!